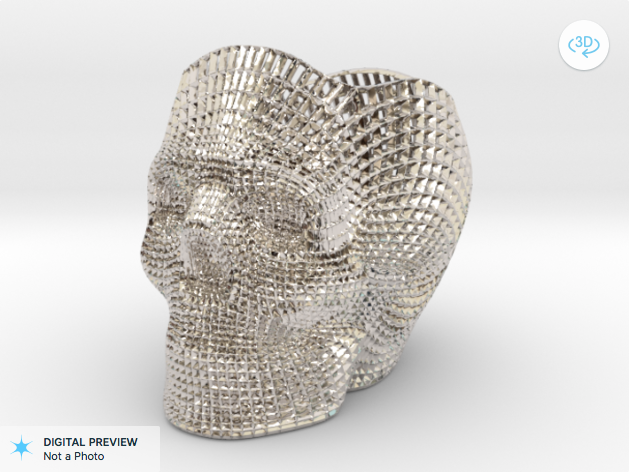 My surprisingly popular 3D wireframe skull is available for purchase from Shapeways. I’ve done a test print through them, and it definitely works! The prices range from $40 for white plastic, to $100,000 for one in platinum. I’m not joking, you can buy this thing in solid platinum. Eat your heart out, Damien.